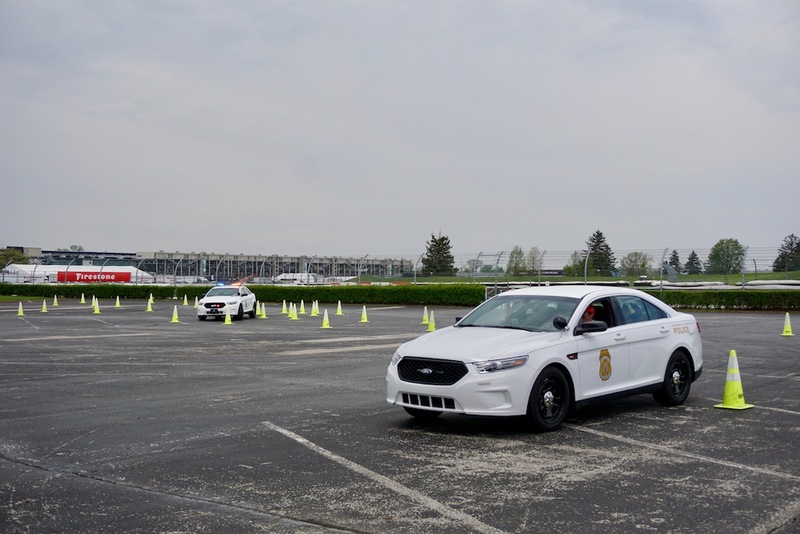 2008 Indy 500 winner Scott Dixon traded his 240-miles-per-hour IndyCar for a beefed-up Ford Taurus Police Interceptor in order to participate in a special training exercise set up by the Indianapolis Metropolitan Police Department and the Indianapolis Motor Speedway. 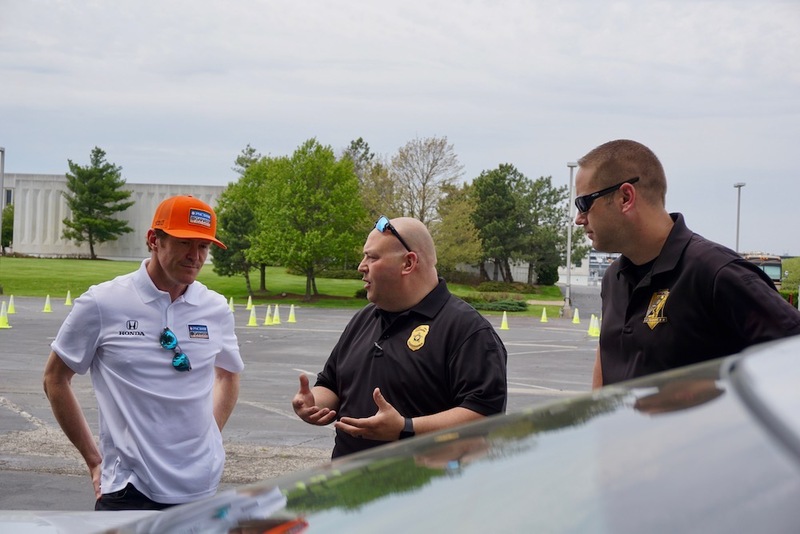 IndyCar's winningest race drivers joined police officers in what they call EVOC training, which stands for Emergency Vehicle Operations Course. The exercise was designed to give Dixon a small taste of what officers have to prepare for when they join the line of duty. 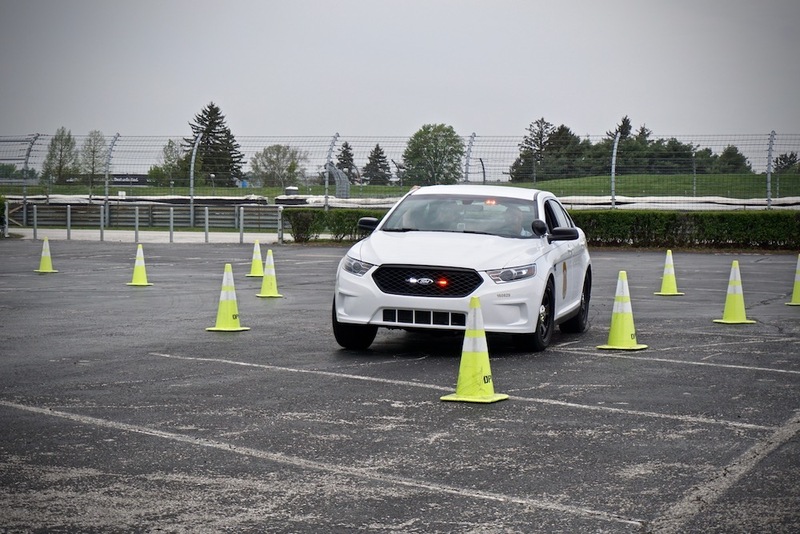 While it may look like a "normal" autocross layout, the cone-lined course was extremely challenging, featuring slow, medium, and high-speed sections in addition to slaloms and even portions performed in reverse. 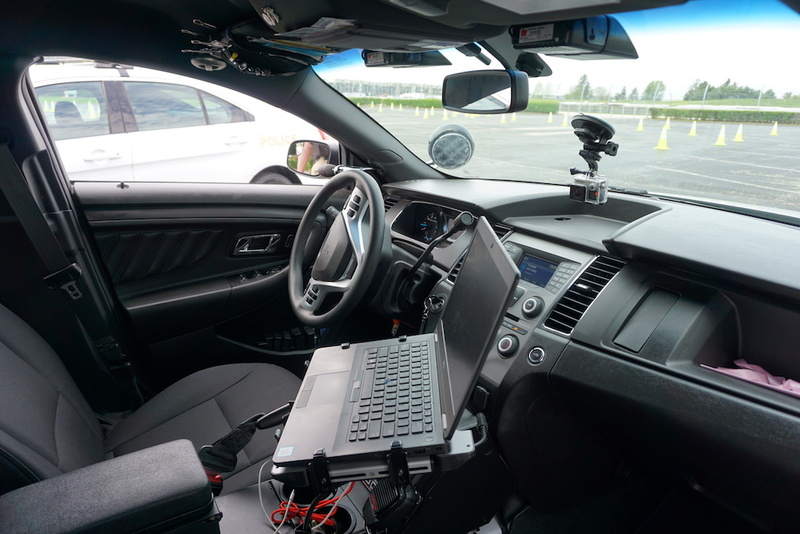 It's the latter that caught Dixon (and even the most experienced officers) off guard, as whipping a Ford Taurus from side to side in reverse while keeping sight of the cones apparently proved to be extra challenging. "It's a pretty tricked-out road car, these things are fast," Dixon told The Drive. "That part back there (back straight) is quite fast, so it was a lot of fun. The backing up part I first tried with the mirrors, but it was too difficult. I was much more comfortable turning my head back and seeing out the window." Dixon's skills were truly put to the test when the exercise added a second police car to the drill. The additional cruiser was piloted by a department veteran. Although he couldn't quite match Dixon's speed moving forward, he managed to drastically close the gap in the reverse-slalom portion of the course. The New Zealand native will once again get behind the wheel of his Chip Ganassi racing machine this weekend for the IndyCar Grand Prix of Indianapolis, which will take place at the venue's interior road course.